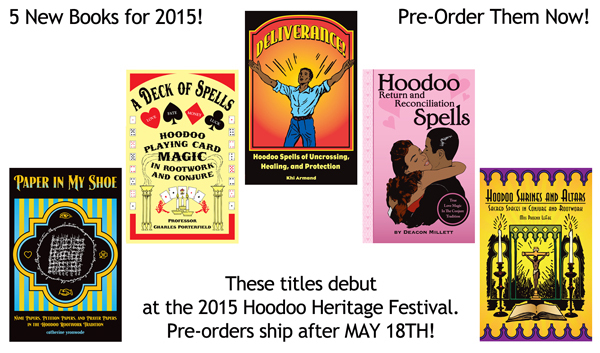 I just saw this mentioned in the April 2015 Lucky Mojo Newsletter. I am looking forward to it. It is a really cool book -- i loved editing it. Khi is a good writer and i predict a continuing career for him as an author. Update! We just got in our first of the advance PRINTED copies of Khi's new book. It looks great. Copies pre-ordered before the festival will be SIGNED by Khi. After that, they won;t be. You can pre-order now -- see the blue button in the first post in this thread. I have been checking out Shelby O'Connelly's (Facebook) pictures from this year's hoodoo festival. Can someone tell me what is that large brown bottle that Khi Armand has at his table and does Lucky Mojo sell it. Post a link so we can see it! Just wanted to say, you guys did a phenomenal job with this book! I couldn't put it down! Anyone on the fence about getting it should just do it, you won't regret it! It really opened my eyes to the different roles crossed conditions play/can come as in hoodoo, and how imperative it is to investigate to heal it at the root. Thank you for publishing it! Can someone tell me what is in the brown bottle in the pics above? angelael -- i think it is an alcoholic beverage, for dressing something. I recognize the label in the pics -- it's a bottle of Sailor Jerry rum. Available at many liquor stores. I got the book in the mail, yesterday, and I am so pleased with my purchase! There is such an abundance of information in there, for such a little book! 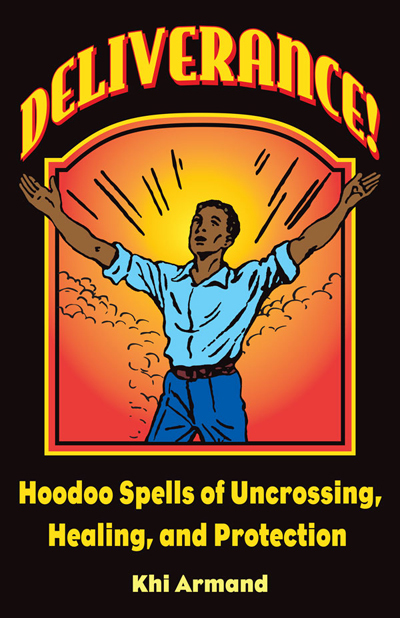 This was my first book about hoodoo. It's great. I wish more inspiration for autor! Great job! Deliverance is about to go into its second printing. It takes a popular book to be reprinted, and we are happy that the public has enjoyed the book so much. This is probably a silly question. Regarding the sugar bath uncrossing on page 35. It mentions soaking for 10 mins. My apartment has a shower only. Is there a way to do this without soaking with the same efficacy? You can make a foot bath, or you can pour the prepared bath water over your body in the shower, then rinse off. The idea of soaking is to relax you, but if that is not possible, just use a different sort of bath.